When I was young a visit to my grandparents house was always one of those experiences I preferred to avoid - It wasn’t because my grandparents were weird people, nor did they ever treat me bad. In fact they were always quite awesome. I always enjoyed it when they came over to visit my place. I remember vividly all of the strange and scary imagery they had on the walls of their home and had a hard time understanding why such nice people had morbid statues and images of guys dressed up in weird looking costumes all over the place. My grandparents were devout Catholics and I would only later learn that the images of the weird looking guys they had on their wall were either the Pope or Bishops in the church. The morbid imagery was that of Jesus and the road zhe took to his crucifixion. They would often do the Christian thing and invite my family to accompany them to weekly mass, but (thankfully) my parents were never really interested in taking them up on the offer nor were they inclined to send my sister and I off in their place. I always figured that if the decorations in their house was enough to give me nightmares as a child, then sitting inside an actual church would be considerably worse. While I was studying in university my grandma finally got her wish to get all of us to visit her church. Unfortunately she wasn’t able to enjoy the experience in person as we were there for for her funeral. Sitting in the giant cathedral in the middle of the cold Canadian winter I focused less on childhood nightmares as I was there to take part in the celebration of life of a remarkable woman. Still, the experience was a new one and during the funeral I spent time looking around at the interior design of the beautiful building. I had been in churches before, but never one like this. Not only was it the largest place of worship I had even been in, but the attention to detail, the coldness of the design and the imagery were unlike anything I had experienced. Fast forward more than a decade and I was standing in the main chamber of St. Peter’s Basilica in the Vatican looking around in awe and all I could think about was how much more my grandparents would have appreciated the experience than I was about to. Before I started to really appreciate my surroundings, I took out my phone, snapped a few photos and sent them to my mom with the message: Nanny and Papa would have really enjoyed this. My visit to the Vatican was never going to be a religious experience. I was visiting for the history and the art, but in the end it turned out to be a bit of a trip down memory lane thinking about my grandparents who despite their affinity for scary imagery, were great people. The Vatican, which is commonly known as the home of the Pope and the Roman Catholic Church is also the smallest independent state in the world. The tiny country has a total area of 110 acres, a population of only 1000 people and is completely surrounded by the city of Rome. Although the Vatican has existed as a sovereign nation since 1929, you won’t need to pass through border control or bring your passport to visit. The small country may not have enforced borders like others do but it does have its own government and departments that deal with health, security and telecommunications. The Vatican is governed by an absolute elective monarchy with the Pope serving as the head of state while legislative authority is vested in a body of cardinals who are personally appointed by the Pope for a period of five years each. The history of the Vatican as a city state is a short one, but the history of the Roman Catholic Church and the ‘Holy See’ is considerably longer and for better or worse has had a tremendous influence on the development of western civilization. 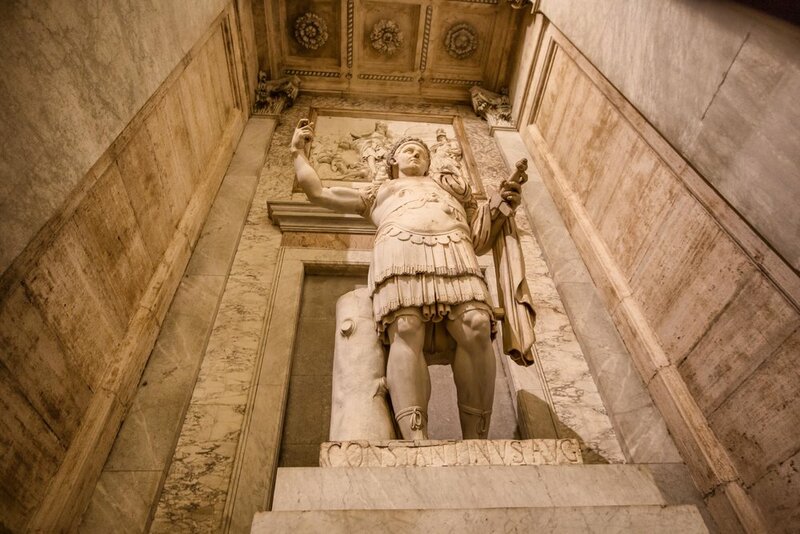 Going as far back as the days of the Roman Republic, the land that the state occupies today was known as “Mons Vaticanus”, more commonly known as one of the seven hills of Rome. Development in the area was sparse though as it was notorious for its low quality of water and because it was a marshland. Despite the area being an unpopular one for development, the land where St. Peter’s Basilica, the Apostolic Palace, the Vatican Museums and the Sistine Chapel now exist was once home to the “Circus of Nero”, which was said to be a site where state-sponsored martyrdom of Christians was common. The fall of the Roman Empire and the eventual decline of the Byzantine Empire gave the Roman Catholic Church with its popularity and power the opportunity to seize control of large areas within the Italian peninsula. Italy at the time was in chaos and split up into several different kingdoms and territories. For a thousand years large portions of the country were under sovereign rule of the church which waged wars and engaged in foreign relations with other nations. With the spread of Christianity throughout Europe, the Holy See amassed considerable power and influence over the governance and decision-making of the entire continent with the Popes having the ability to tell the Kings and Queens of Europe what they could and couldn’t do. After centuries of church rule Italians had started to become disenchanted with the corruption of the church and nationalist movements formed all around the country which sought to unify the peninsula into a single united nation. In the south, Giuseppe Garibaldi led Italian Revolutionary campaigns while in the north, the Kingdom of Sardinia, with its considerable power sought to establish a unified Italian monarchy. Despite their ideological differences, the two combined their forces in 1860 to establish the Kingdom of Italy with King Emmanuel II as its ruler. Despite unifying most of Italy, Rome which was still under the protection of France was still under the control of the church. Retaking the city would prove to be an incredibly difficult ask as any attempt would threaten to have the armies of Europe descend upon the newly found kingdom. When France went to war with Prussia in 1870 however they were forced to abandon most of their stations in Rome leaving the city vulnerable to attack. With the loss of the city, member of the Holy See were forced to retreat to the Vatican where they had a hard time adjusting to their new reality and claimed to be prisoners for the next six decades. The church did whatever it could to oppose the newly formed Italian government and urged its followers to protest Italian elections which the church saw as illegitimate. Despite all of their obstruction the Italian government passed legislation called the “Law of Guarantees” which accorded the Pope honours and privileges on the same level as the king. The church persisted in its protests until the “Roman Question” was eventually solved by the Lateran Pacts which were agreed upon by King Emmanuel III and Pope Pius Xi in 1929. The pact which was signed at the Lateran Palace resulted in the creation of the Vatican as a sovereign state under the control of the Holy See. 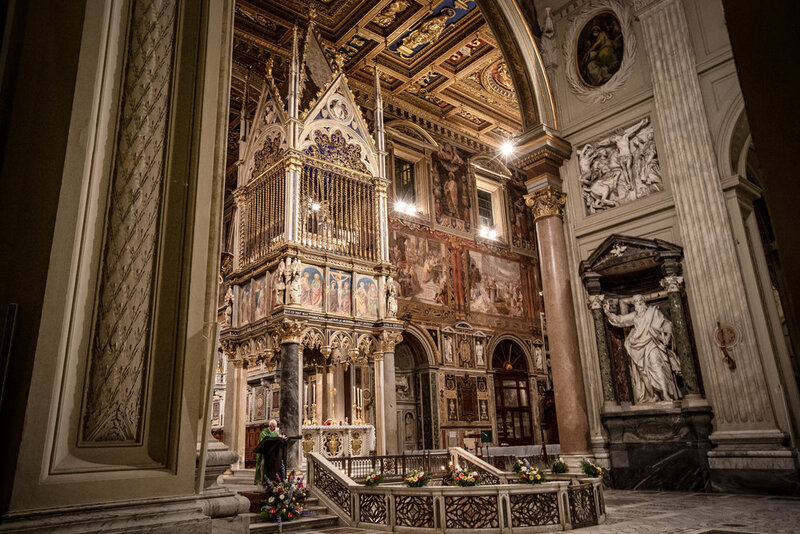 The Italian state agreed to provide the newly founded state with financial compensation for the loss of its territory and would also have to allow for church owned property around the country to be exempt from expropriation or taxation. 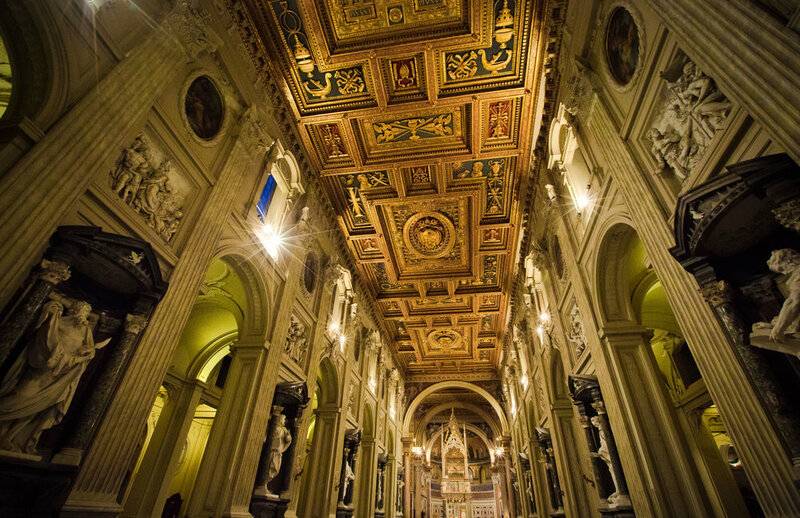 The history of the Vatican and the Roman Catholic Church is a long one and today it is one of the richest institutions on the planet with its wealth considered to be immeasurable. 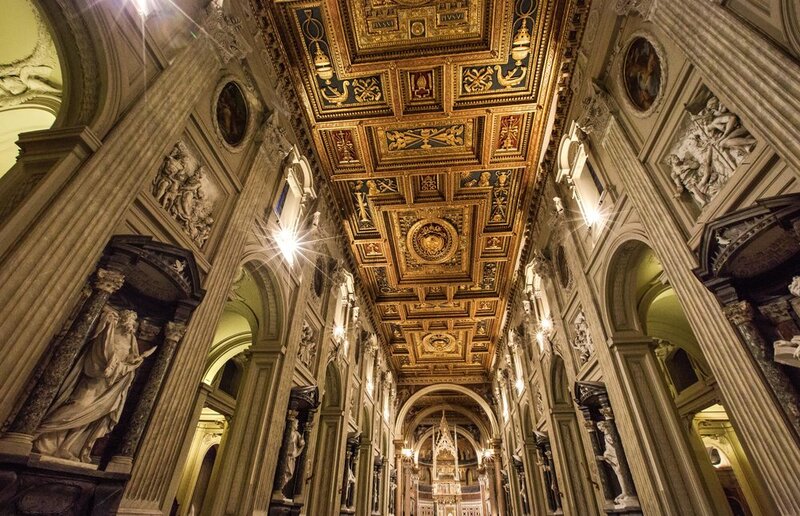 With holdings in priceless art, property, gold and investments, the Vatican might not only be the smallest country on the planet, but also the richest as well. Owning over 70,000 pieces of art, the Vatican ‘shares’ much of its wealth with the world by putting it on display at the Vatican Museums. The museums, which were founded in the 16th Century by Pope Julius II are today visited by over six million people annually. 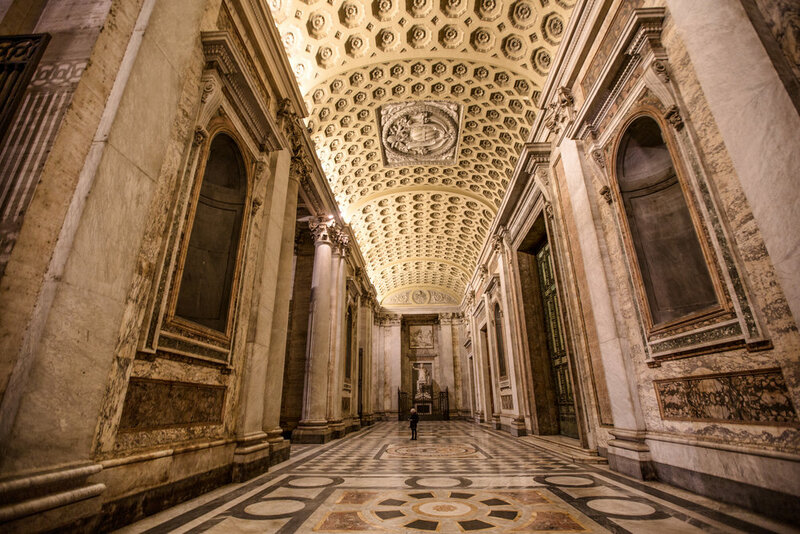 Consisting of over 54 galleries and including the Sistine Chapel, the Vatican Museums are one of the largest in the world and has the ability to display more then 20,000 pieces at a time in its seven kilometres of halls and corridors. The museums are famously home to galleries of priceless work from Renaissance artists Michelangelo, Raphael and others as well as thousands of other pieces of art ranging from Etruscan bronze, Egyptian mummies, Roman era art and modern day work from the likes of Picasso and Van Gogh. 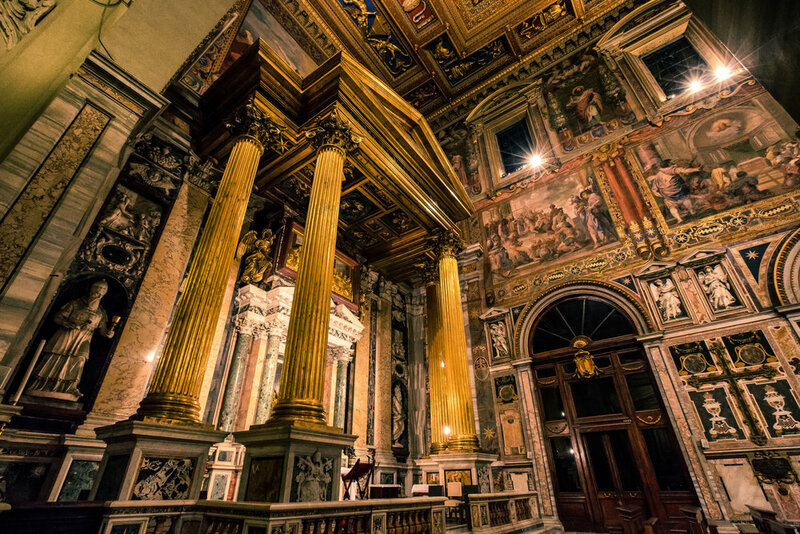 Rivalling the Colosseum, the Vatican is one of the most highly visited destinations or tourists who visit Rome. This means that no matter what time of the year you plan to visit, the world’s smallest country is going to be jam-packed not only religious pilgrims, but tourists who come to see the historic and lavishly decorated buildings which are full of some of the world’s most renowned works of art. 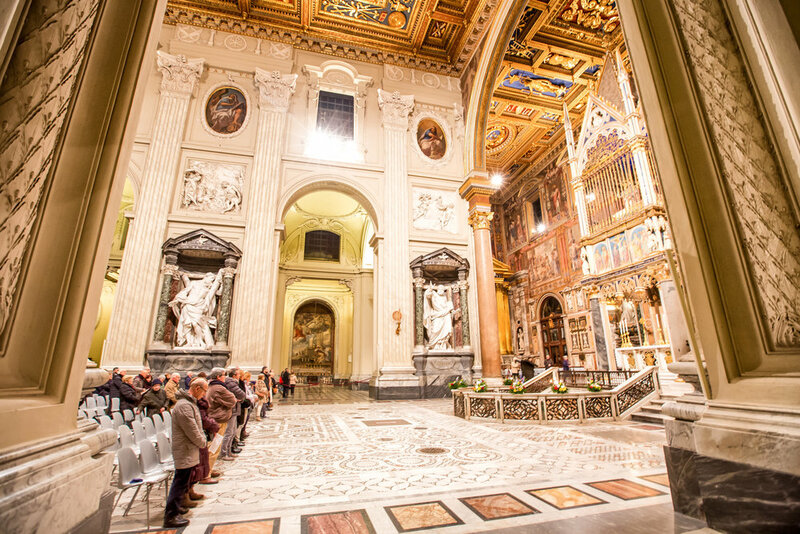 When you are planning your trip to the Vatican there are a few things you are going to want to keep in mind to ensure that you enjoy a successful day of travelling rather than waiting around all day in the notoriously long lines. 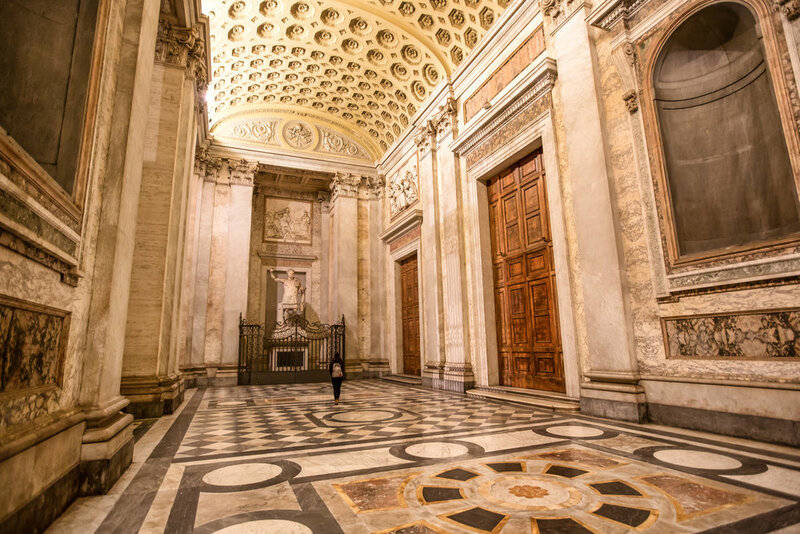 The Palazzo Apostolico Vaticano, otherwise known as the Vatican Museums contains one of the largest and most spectacular private collections of art in the world. 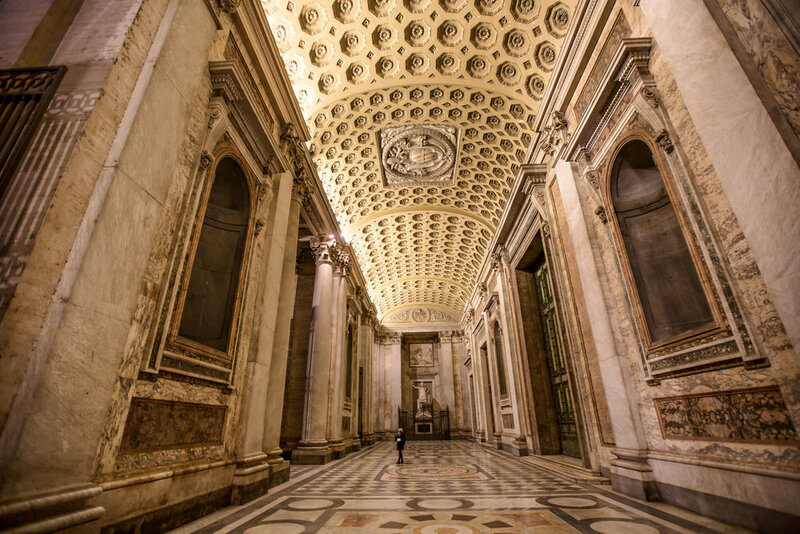 With kilometres worth of galleries to explore visitors are able to experience almost every kind of art that human history has to offer culminating in Michelangelo’s masterpiece - The Sistine Chapel. If you want to avoid extremely long lines and wasting a whole lot of time, I can’t stress it enough that you have to buy your tickets for the Vatican Museums and Sistine Chapel in advance. 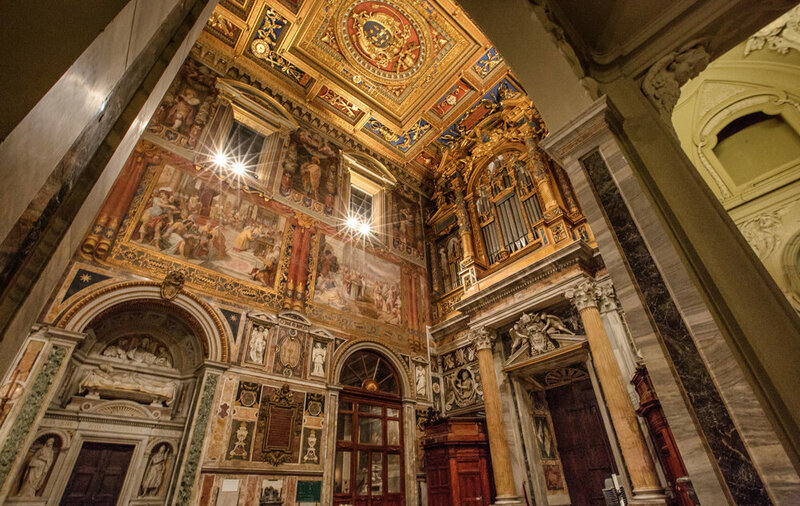 The tickets are easily purchased through the Vatican Website which has a number of options available for visitors. 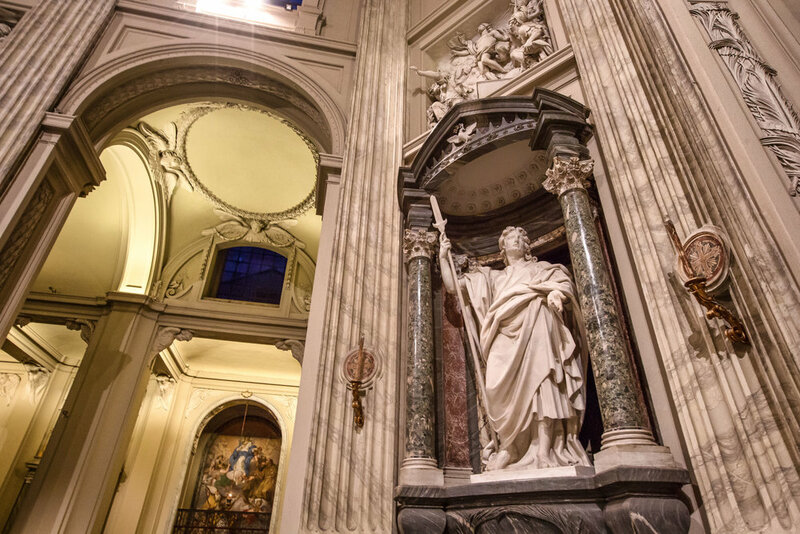 As of 2018, the price of general admission for the Vatican Museums and Sistine Chapel is € 17.00. If you book ‘skip-the-line’ tickets online however you are going to have to pay an additional € 4.00 surcharge which is fine considering the amount of time you’re going to save. 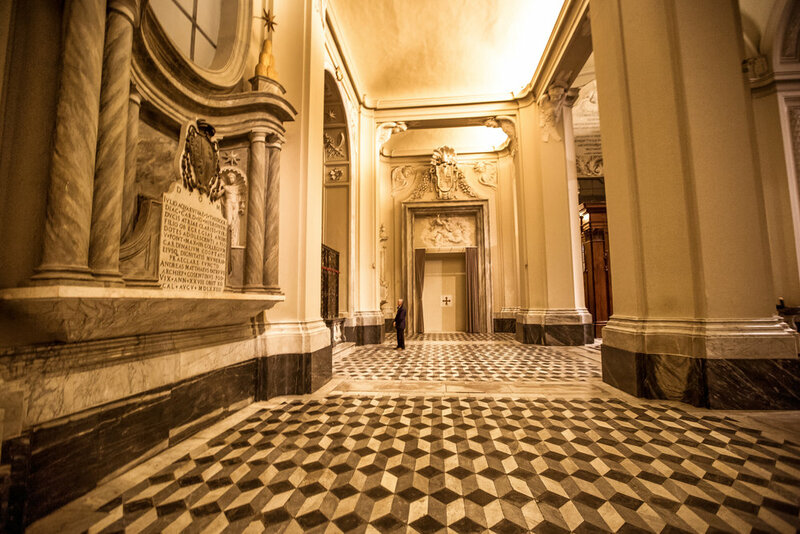 Audio guides are available inside the main entrance of the Vatican Museums for a charge of € 7.00. The guides are available in ten different languages and are accompanied by an illustrated map of the museums. If you want to have a guided tour experience you have the option of hiring either an ‘official’ or ‘unofficial’ tour guide. 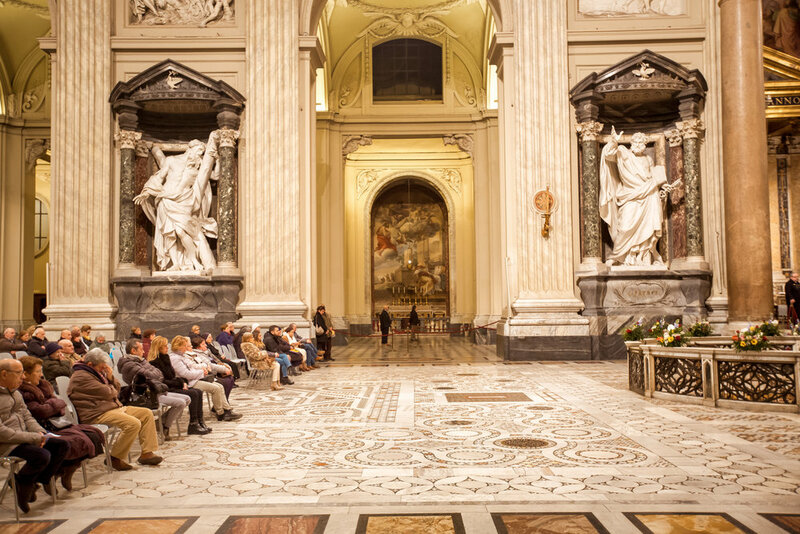 Guided tours can either be arranged through the Vatican Museum website or through some of the various tour group sites online. When planning your tour it is best to consider what you want to do, how much time you have and how much you’re willing to spend. 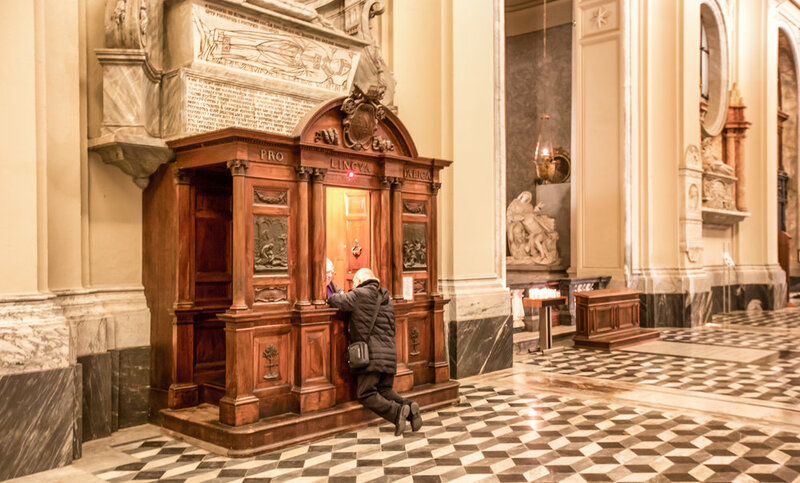 If you haven’t arranged a tour prior to your visit, you will undoubtedly be met by guides on the streets of the Vatican who will offer their services. When you’re face-to-face with (pushy) guides it is a bit more difficult to compare prices or negotiate. Be careful to not get sucked into a tourist trap and cheated out of a bunch of money. Visiting the Museums can be a bit of a daunting task - There is simply too much to see and you’re going to feel like you won’t have enough time to see it all. Before you go you might want to consider doing a bit of planning to decide how to spend your time most wisely on the types of art that most interests you. If you decide to do research beforehand as mentioned above, you’ll want to pay close attention to which galleries are open and which might not currently be on display. One of the galleries that I wanted to check out most wasn’t open at the time of my visit, so I missed out. 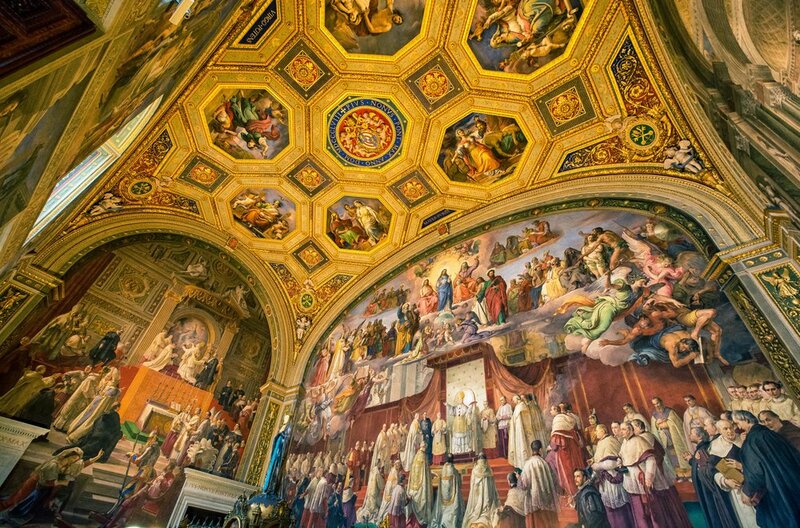 I recommend spending a bit of time enjoying the “Stanze di Rafaello” (Raphael Rooms) which are several rooms with wall-to-wall frescoes crafted specifically for the Vatican by Raphael, one of the Renaissances greatest artists. Pay close attention to “The School of Athens” fresco which depicts western history’s most accomplished philosophers. Before you enter the Sistine Chapel you are led into the Modern Art gallery - I know you are going to be excited to see the chapel, but don’t pass by so quickly. If you do you’ll be missing the chance to see work by Van Gogh, Picasso, Gauguin, Rodin, Dali, etc. 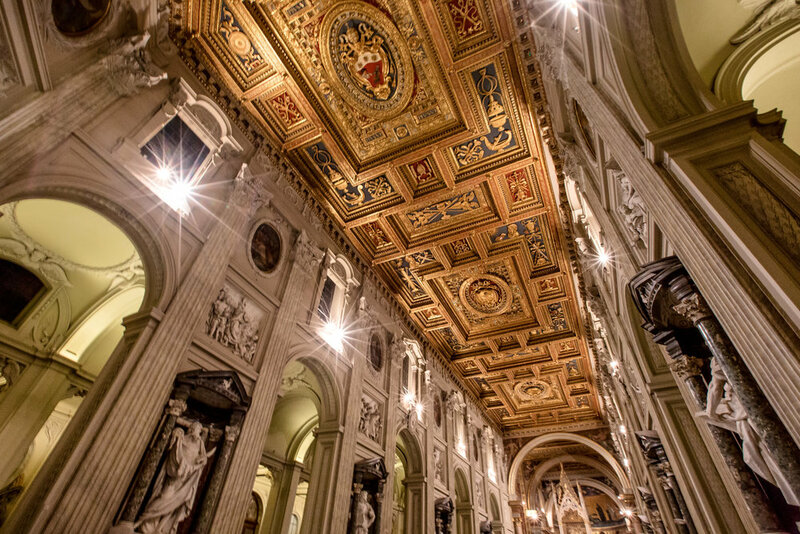 Prepare your neck for a bit of discomfort when you visit the Sistine Chapel - You are going to spend a bit of time gazing up at the ceiling in appreciation of Michelangelo’s masterpiece. The beauty of this room is unparalleled, so enjoy it! Security in the Sistine Chapel are extrmely vigilant - If you even think about taking a photo, their eagle eyes are not only going to catch you but will also make an example of you. You don’t want to be the guilty person in the room whom everybody is staring at, so be very careful. I understand the feeling, you’re definitely going to want to take a photo - but is it worth the embarrassment? 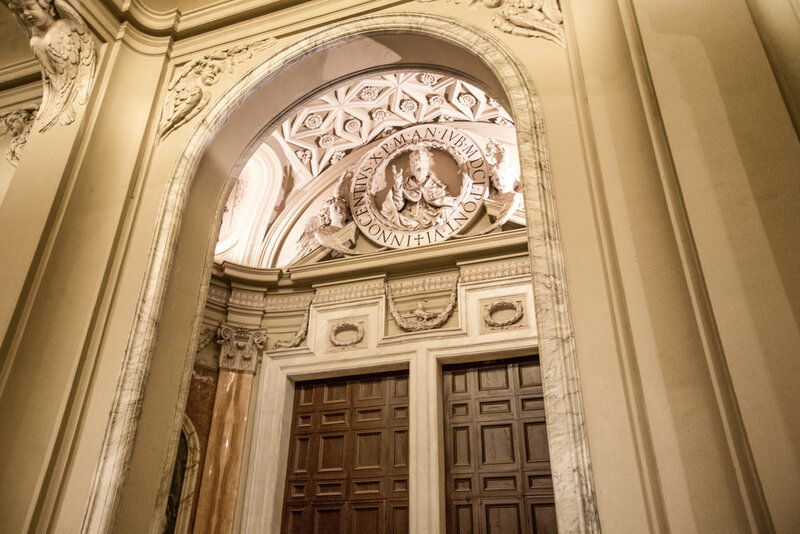 When you’re finished with the Sistine Chapel and you’re getting ready to leave the Museums, there is one more thing to check out - Don’t forget to check out the beautiful spiral staircase (photo above) that leads you to the exit and is a popular spot for Instagram photos! When you’re done - Walk a short distance away from the Museums and St. Peter’s Basilica to find something to eat. There are a lot of classic Roman restaurants in the area, but if you eat at the restaurants next to the museums, you’re going to pay a bit extra for it! Visiting St. Peter’s Basilica as well as St. Peter’s Square are free of charge, you don’t need to pay an admission fee to enter the church. Avoid the people standing at the entrance who are going to offer you tours. There is a dress code in effect that you’ll have to abide by to get into the basilica - No shorts, miniskirts or bare shoulders! There is no skip-the-line option available for the basilica. You are going to have to put up with long lines to get in - The lines to get in are some of the longest in Rome. There isn’t really any easy way to get around that. One of the reasons for the long lines is that there is an airport-style security screening that you’ll have to go through before you are admitted. Remember that St. Peter’s is the home of the Pope, so its important that they keep him safe from weirdos. The security screening procedure is fairly simple, but if you are carrying something like a tripod, they’re going to ask you to leave it and pick it up later. You can save yourself a lot of time by packing light. If security requires you to check your baggage, there are lockers offered free of charge. Tours are available free of charge and last 90 minutes. If you would like to join one, visit the the Tourist Information Area to secure your spot. 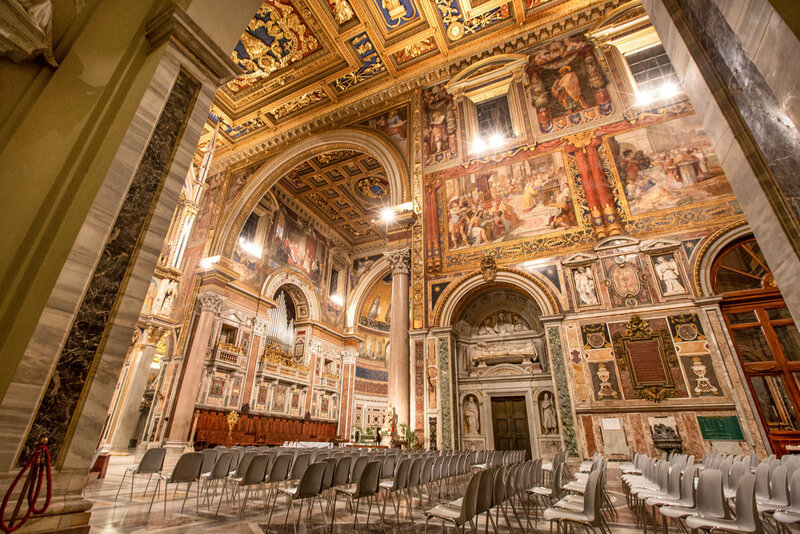 If you are planning your Rome vacation, it would be helpful to keep in mind that the Vatican is busiest on Wednesdays and Sundays when the Pope comes out to say Pope kind of stuff. If you are into Pope kind of stuff and would like to hear him speak, you need to obtain (free) tickets from the Papal Audience website for his Wednesday speaking sessions. 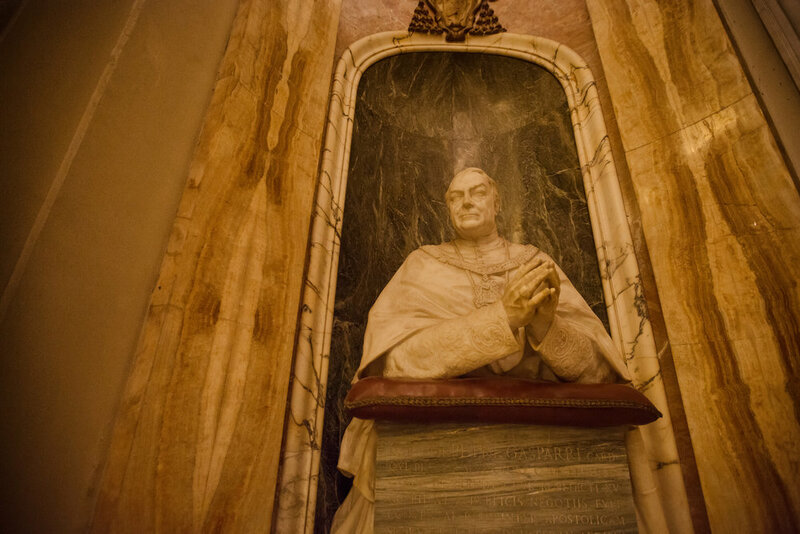 When you’re finished seeing everything in the basilica make your way to the grottoes where you can walk by the tombs of some of history’s greatest Popes. For a charge of €5 you’ll be able to climb to the top of St. Peter’s Dome where you’ll have beautiful panoramic views of Rome’s rooftops and St. Peter’s Square. 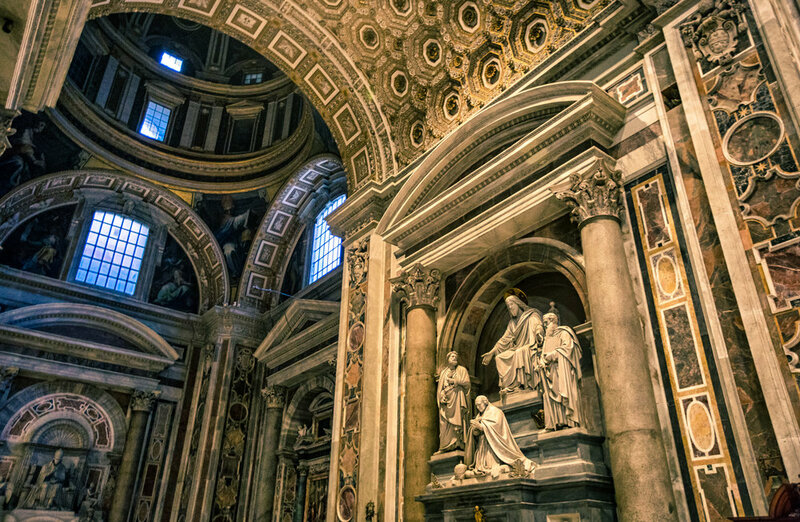 St. Peter’s Square is not only the place where the Pope holds public mass but is also home to a few architectural masterpieces as well. Don’t miss out on the Vatican Obelisk in the middle of the plaza which originated in ancient Egypt, was taken to Nero’s Roman Circus and then moved to the Vatican. The two fountains on either side of the square are Baroque masterpieces designed by Bernini and Maderno. 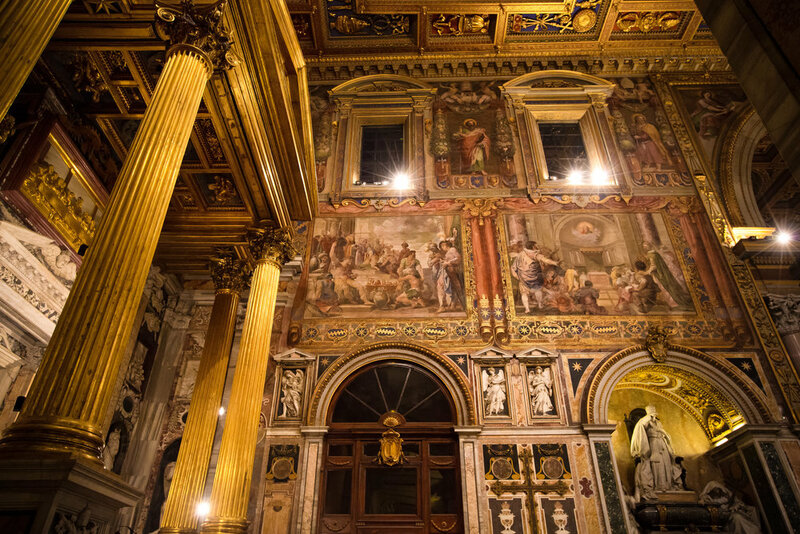 After a long day visiting the Vatican you’ll probably want to stick around for some dinner or drinks in the area. Don’t head back across the Tiber too quickly though as St. Peter’s Square and the Basilica are beautifully lit up at night and are great for photos. 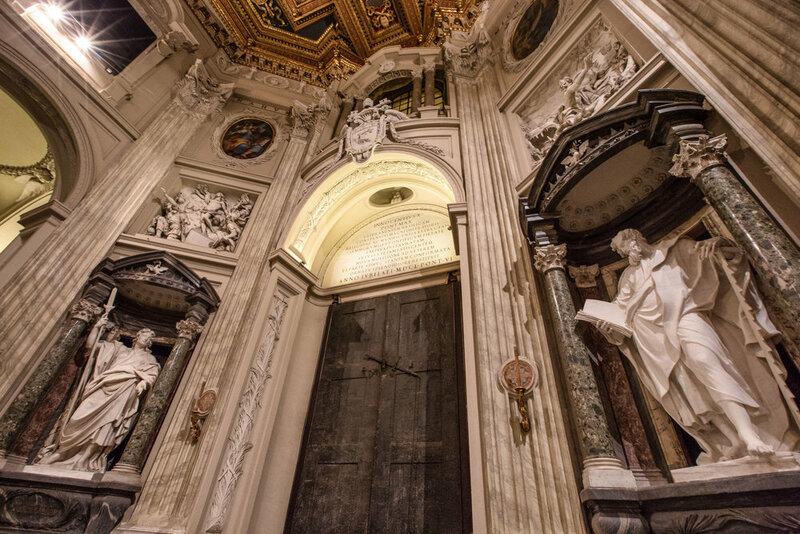 There are a lot of reasons to visit the Vatican - If you are Catholic, then of course a visit to the holy city will be a pilgrimage of sorts and may end up being a powerful life-changing experience. If you’re like me and have a lot of appreciation for art and human history, then you’ve come to the right place. 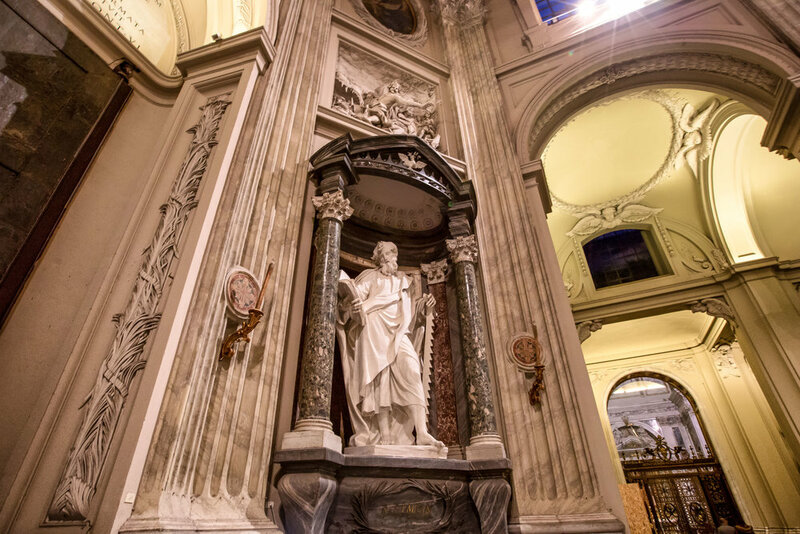 The Vatican is home to some of the most amazing art that the world has to offer and each year millions of people pass through the doors of the Museums and St. Peter’s to see it. 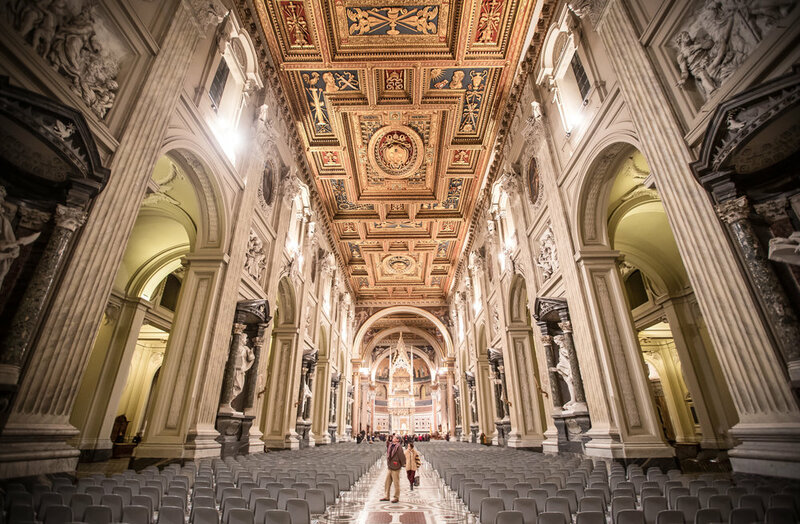 Even if you’re not religious, the Vatican has played an important part in history, so it is easy to respect the role this tiny country has played and a visit is one of life’s experiences that will inspire you.